So with the BUPA Great Yorkshire Run coming up on Sunday I found myself contemplating the shoe condundrum. should I wear? Immediately discounted from the plan are the UK Gear. These need breaking in, and by breaking in, I think I need to go to work on them with a tack hammer just to soften them up enough to wear. 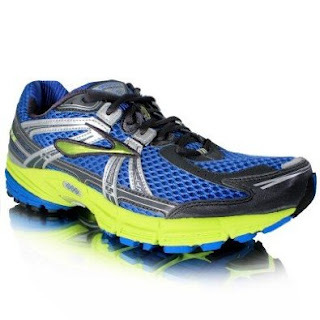 I could similarly discount the Brooks, even though there is nothing really wrong with the shoes. It is just that, if my right foot swells, then the right shoe is a little too tight. 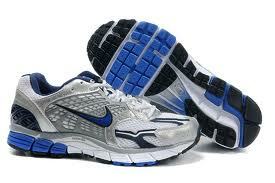 Which means the tick will go to one of the three pairs of Nike shoes. Oh, how apt. 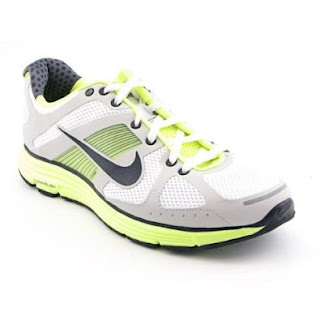 The present most used shoe is the Old Reliable Nike Air Lunar + 5s. I have racked up 250 km plus on them and all my PBs have come from them. 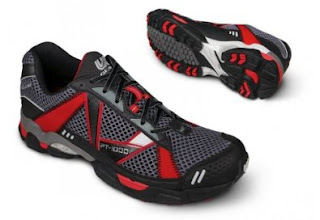 But the one issue with these shoes is that they affect my gait. I land on the outside of my right foot, and then it rolls onto the sole. 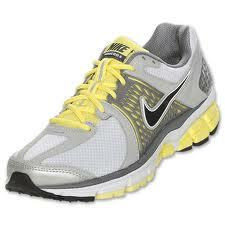 This has been causing me a few knee issues I believe so I thought I would go for a pair of Nike Air Vomeros. I did not want to buy a new pair straight away and found a used pair of the Pre-Nike+ Vomeros on Ebay for virtually nothing. Now these are the most comfortable shoe I have ever worn. They even correct my gait as I run. Although they are not Nike+ enabled and, on the one run where I wore them and the Nike+ attached to the laces in a pouch, the stats got all screwed up, and it thought I had run a 1/3rd of the distance I had. So, loving these shoes I bought the modern edition. But they are brand new. They arrived yesterday and, although comfortable, they are not AS comfortable as the old worn in pair. So to the decision: I want to wear the most comfortable shoes. That would be the Old Nike Air Vomeros. The race is chip timed, so I will know my stats. However, if I want to put the stats into NikePlus as part of the September Challenge then I will need to attach the Nike+ widget to the laces. Given this failed last time, I will run tonight and calibrate the widget to these shoes on the laces. I think that will work. Thanks for the link to this post!